I am a Freelance, Motivated & Self-taught Designer. I make my designs with full passion, attention and deep thinking. Client's satisfaction with what I offer is my PRIORITY. ♡ Don't hesitate to contact & Invite me. ♡ NOTE; some designs (not stated as WINNING) in portfolio are for SALE, just leave me a message If you like any style of them. "Absolutely amazing designer!! Got it right from the beginning. Was very quick and responsive and replied fast. Amazing and highly recommended. " "Amazing work Oyasi... Great concepts and further adjustment to really get what I was looking for from the design brief.. Great work.. Would definitely use again :-D"
"Working with Oyasi was amazing. The designer had great customer service and did all the change requests quickly and was very positive about it. 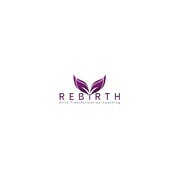 Looking forward to using the logo Oyasi made for us on a lot of our products. Definitely would recommend t..."
"what a pleasant experience! very helpful, understanding, patient, quick, and creative designer. i have an amazing logo at an unbeatable price! very happy with the quality of work I have received. would highly recommend!!"